Skillrater.com named a HR Magazine 2014 Top Product Winner. This new HR product is dubbed one of the newest and most innovative products in performance ratings and appraisal. Skillrater.com named a Human Resource Executive Magazine Top Product Winner at its HR Technology Conference. For more than 25 years, Human Resource Executive Magazine has recognized excellence and innovation in the HR vendor community with its Top HR Products. Human Resource Executive has been evaluating HR products and conducting this competition for 26 years," explained David Shadovitz, editor of Human Resource Executive. "Our goal has always been to identify products and services that clearly offer value to the HR community while demonstrating innovation. Skillrater provides one of the newest and most innovative products we have seen in performance appraisals combining a strong coaching process and an employee and employer-led anytime 360-degree assessment, with less rating to reduce rater fatigue, the use of positive dialogue in the form of appreciation and advice, and social threaded discussion to enable employees and all stakeholders help each other get better over time. It empowers and trains employees to become coaches to each other and investors in their own careers thus creating a self-sustaining learning organization." The HR Technology Conference is the world's largest Expo of HR technology products and services - many vendors choose to announce their latest products for the first time at HR Tech. Executives and business owners compare and contrast the latest solutions from leading vendors in every category, as well as start-ups. Each year the Conference hosts the foremost industry experts, thought leaders from major and emerging HR consultancies, software vendors, senior HR executives, HR Generalists, HR Systems leaders and more. "I am truly honored to receive this award from the prestigious Human Resource Executive HR Technology Conference. I appreciate HR Executive's validation and research behind the award, as well as the care they put into understanding skillrater's essence and purpose. Thank you, HR Executive for honoring and recognizing us, on behalf of the developers, and 10's of thousands of hours of hard work completed by the skillrater staff." said, Louis Carter, the lead developer and concept innovator of skillrater and CEO of Best Practice Institute, Inc.
Skillrater is a seamless, enhanced performance appraisal platform that enables a person to visibly meld and integrate all of their skills, rating their proficiencies and advice recommended by peers and stakeholders within projects and creating new social circles on the fly across all of their company, clients, social networks, and creating a unique ecosystem within each client. Skillrater allows effortless communication and collaboration with company and client contacts. Skillrater's managed collaboration promotes more productivity as well as innovation and unique problem solving. 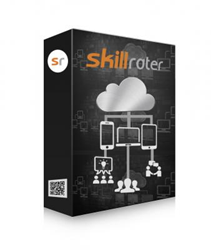 Skillrater is on the leading edge of providing a more satisfied and productive workplace. Skillrater allows management to develop a personal objective data profile for each employee, which can be used to identify top performers in specific skill sets. "Skillrater is a great tool. Leaders and managers are going to fall in love with it. There is no better way for organizational leaders to track talent data. Skillrater gives you a simple way to request receive feedback on what you are doing, while building an in-house social network to discuss the feedback. The ability to customize Skillrater around the desired competencies of your organization is brilliant." "Our goal is to create a social circle within an organization that is focused on helping employees coach each other improve their skills and improve performance," Carter said. Studies have shown 360-degree feedback is an effective way to help workers identify their strengths and weaknesses, including blind spots in which they need further development. Skillrater's convenient online platform, along with the addition of research in neuroscience regarding the effects of positive dialogue on performance, makes Skillrater a powerful leadership development tool for dispersed or collective learning environments. For senior talent management executives, Skillrater provides a remarkable way to track the job performance, skill sets and leadership development of dozens, hundreds or even thousands of employees spread out across a national or global workforce. For years, connecting the right employees with the right tasks has been the elusive aim of talent management. With Skillrater, when a particular skill set is needed for a particular task, a manager can search on those specific skills, and then read fresh feedback on recent projects, including not only numerical ratings but subsequent comments and discussion. That is rich, valuable talent data, which Skillrater puts at executives' fingertips. Managers from different divisions may customize their own groups to have specific skills or competencies that are important for success on-the-job. Users can select these group skills when requesting ratings to get targeted feedback that meets the need of the department head or head of leadership development. The ability to customize skills is critical to an organization's success, making this a key feature of Skillrater's enterprise membership level. Employees, stakeholders and even customers are able to have continuous threaded discussions within the enabling them to become coaches to each other and the organization. This creates a self-sustaining learning organization. VPs of leadership development have the ability to set up action learning groups with specific action items. Group members work together online to achieve goals and get ratings on the skills that will make them most successful on the action learning project. Changes in behavior and actual project results may be tracked over time, proving the ROI of the leadership development program. Best Practice Institute is an award-winning leadership development center, think tank, peer network, research institute and online learning portal with more than 10,000 corporate and individual members around the world. Corporate members include Walmart, Tyco, Pfizer, Hilton Hotels Worldwide, Humana, Novelis, BP and many more of the world's top corporations. BPI is based in West Palm Beach, FL, and is on the web athttp://www.bestpracticeinstitute.org. BPI is ranked as one of the top ten "Best in Leadership Development" by Leadership Excellence Magazine.